Ben Ottewell, vocalist and lead guitarist of Brit rock band Gomez, continues to submerge himself in the deep end of the blues on his second solo release, Rattlebag, which follows his first solo album Shapes & Shadows (2011). “Your prayers won’t raise me from this web,” Ottewell sings during the title track, “Rattlebag,” which opens the record. It’s a statement full of despair, suiting Ottewell’s melancholic voice perfectly. But it’s not all lugubrious. “Somewhere, some way, salvation comes in strange disguise,” he sings during the chorus, giving listeners a ray of hope, a signal which says that even the most lost among us can still be saved. I’m not sure whether it’s meant to be a religious song or just a song about the human condition, but it works just as well either way, so look at it however you wish. 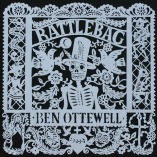 Like the rest of the album, Ottewell wrote the song with childhood friend Sam Genders, previously of Tunng, who was his Shapes & Shadows writing partner as well. The album’s more up-tempo lead track, “Red Dress,” follows. Here, he weds the blues and folk, yielding something immediately catchy. “When I came down from the mountain / At first I was frightened / Then I saw your face,” he sings. Imagine The Black Crows’ Chris Robinson singing an uppity song written by The Lumineers. To that end, Ottewell’s voice sounds rather soulful throughout the album, much like Robinson’s always does. “Patience & Rosaries” is another highlight. Here, Ottewell uses layers and layers of sound to concoct something lush and powerful. “Patience and rosaries fit,” he sings, his voice nice and gritty. While I enjoyed the first two tracks on the album, this was the track that made me fall in love with it the first time I heard it. Here, the bluesy guitars seep inside of your head like syrup down a maple tree. Only the maple contains liquid Vicodin that washes over you like a warm blanket. 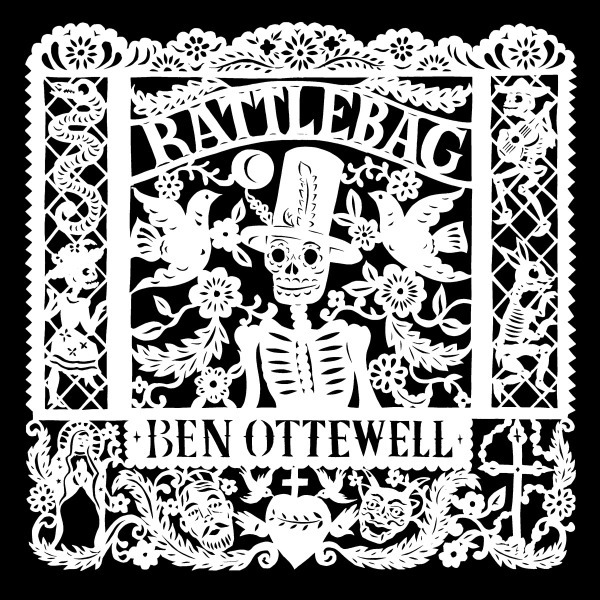 It’s purposely soothing like that, yet it delivers a bit of a shock to the system when Ottewell unleashes an even more potent and unexpected guitar solo. I suppose I should compare him to Jack White here, but I’m sure plenty of other critics will do that, so I’ll leave that to them. “So Slow” proves that Ottewell does the acoustic thing just as well as he delivers electrifying hooks and solos. 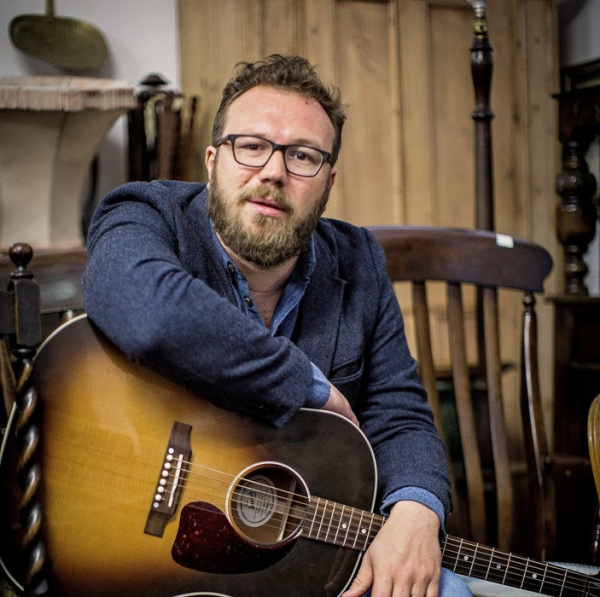 This mellow number is more like Americana or old school country than the blues, though it fits in perfectly here in spite of the change in genre, Ottewell’s voice being the golden thread that weaves all of the record’s 11 tracks together perfectly. You might be thinking that this is one of those overly “serious” records, an album devoid of anything fun or up-tempo. If you think that’s the case, check out “Papa Cuckoo.” It’s an upbeat and infectious number that will have you tapping your foot if not singing along. It would seem to be about some kind of zealot and/or cult leader but I could be mistaken. But when Ottewell sings “Papa Cukoo, he calls to you,” you definitely get the feeling that Papa Cukoo is exactly what Ottewell is calling him. The album ends with “Distant Shores,” something Ottewell would seem to be seeking during many of the songs here. Either he’s great at pretending he’s in need of salvation or he was going through a rough patch when he wrote these songs. My guess is the latter. The lyrics definitely don’t strike one as being full of lies. On the contrary, they always give one the impression that Ottewell is spilling nothing but the truth; the blues don’t get any more genuine than this.